I discovered Germany’s Owl and their 2013 album You Are the Moon, I Am the Night through a guest post on our site last summer by KevinP. That was Owl’s second album, and I was hugely impressed by it. Now, this two-man band have completed a four-song EP entitled Into the Absolute, and I’m hugely impressed by it as well — so much so that we obtained the privilege of premiering its title track for you. 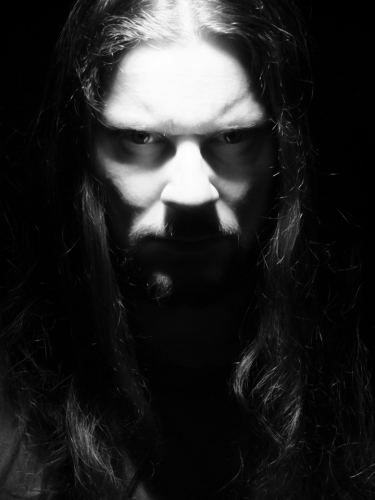 Owl’s Christian Kolf says that if that last album was drenched in the atmosphere of night, the new EP is “set right before dawn, when the first light appears,” with “a feeling of a new awakening”. There are in fact moments of beauty in the music, most strikingly in the latter part of the long, stately closing track, “Unearthly Arcana”, but when these moments come, the atmosphere is one of deep melancholy. And if the EP as a whole stands on the brink of dawn, it is nevertheless still very much wrapped in the mantle of night. 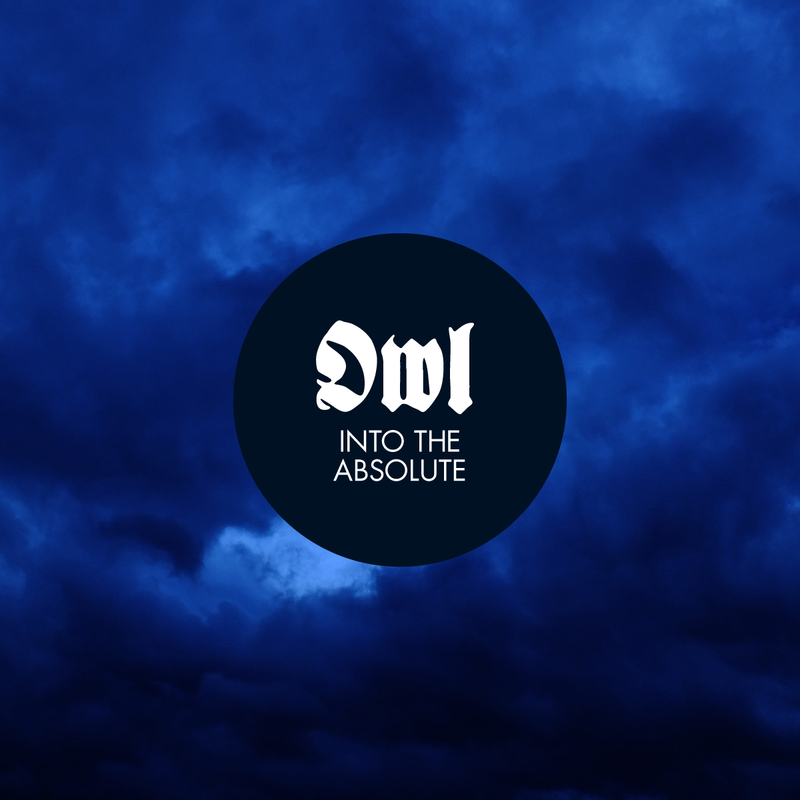 In genre terms, the music of Into the Absolute is difficult to pigeonhole. Its generally slow pace, distorted discordant chords, and harsh agonizing vocals draw from the dark waters of death/doom, but elements of black metal also rear their heads when Kolf elevates his voice into scraping howls, when drummer Patrick Schroeder unleashes a storm of blast beats, and when walls of grinding guitar sounds inexorably move in. Yet against the ominous background of instrumental aggression you will also hear chiming guitar melodies that briefly hint at post-metal. The music’s doom influence becomes even more pronounced during the moments when Kolf’s vocals turn clean. His voice is morose, subdued, and even ghostly at those times, underscoring the enveloping atmosphere of gloom while at the same time briefly lifting the music’s crushing weight from your shoulders. There are no weak spots on this EP. Even its one purely instrumental track (“Apparition”) is worth hearing although it’s a bit of a stylistic switch from the other three songs. It’s a slow build, starting with a distorted, dirge-like keyboard section and then growing both more ephemeral and more ominous as Kolf’s guitar joins in. A band named Owl, eh? Intruiging, if only for the name. One imagines one’s sister will be just as intrigued. Not bad. I’ll have to listen to the rest of the EP when possible.